Kids come in all sizes, so do our baskets. 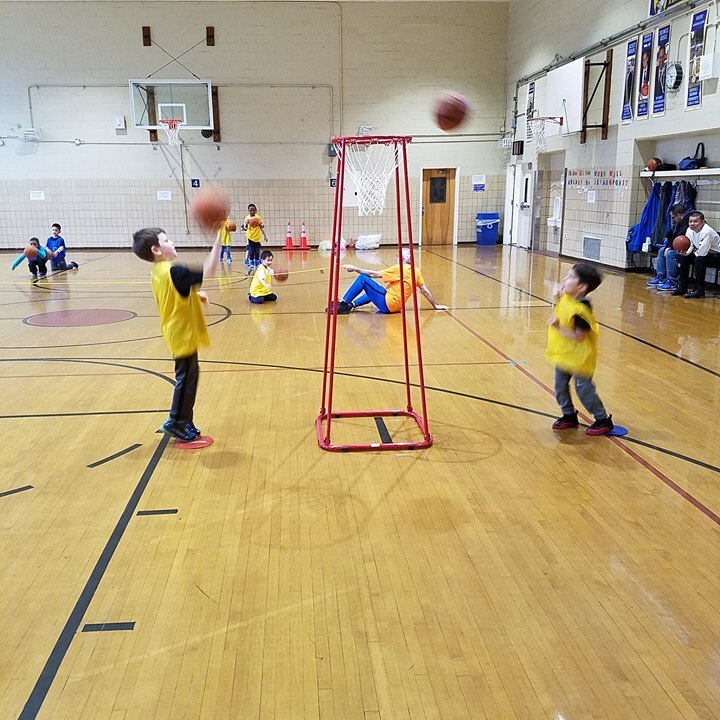 At this gym, we have 8′, 9′ and 10′ baskets in addition to adjustable hoops for our Pee Wees and SuperTots.Basketballs also come in 4 sizes, so your child can learn the proper technique using correctly-sized equipment. That, in addition to our expert coaching staff, is just one of the criteria that separates First Shot from other programs.